Spending 70 days working at below-freezing temperatures was always going to be a challenge. 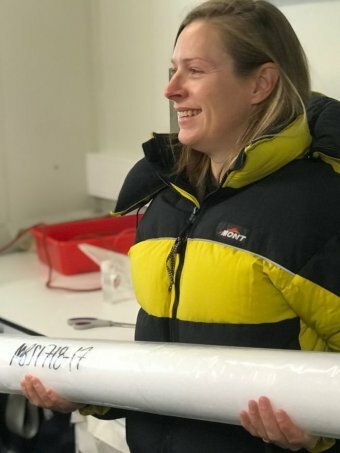 But Dr Tessa Vance, of the Antarctic Climate and Ecosystems Cooperative Research Centre, and her international team of climate scientists faced more than a sharp chill while drilling a 300-metre-long ice core from beneath Mount Brown South in East Antarctica. 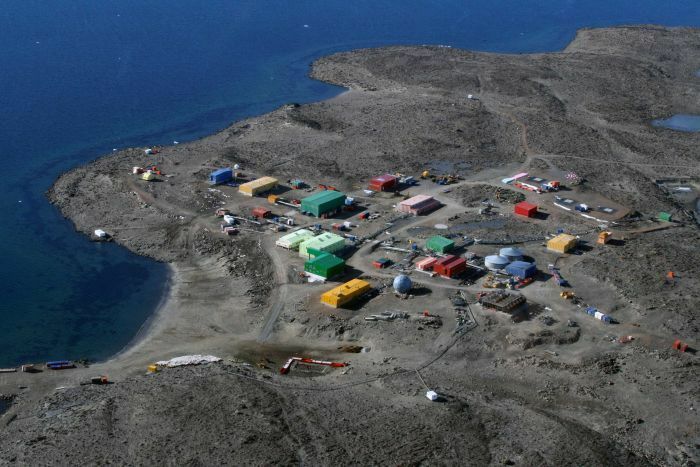 While Australians were enjoying their summer, the team from Australia, Denmark and Canada spent ten weeks working 12 hours a day to extract the ice from a remote site 330 kilometres inland from the Davis research station. 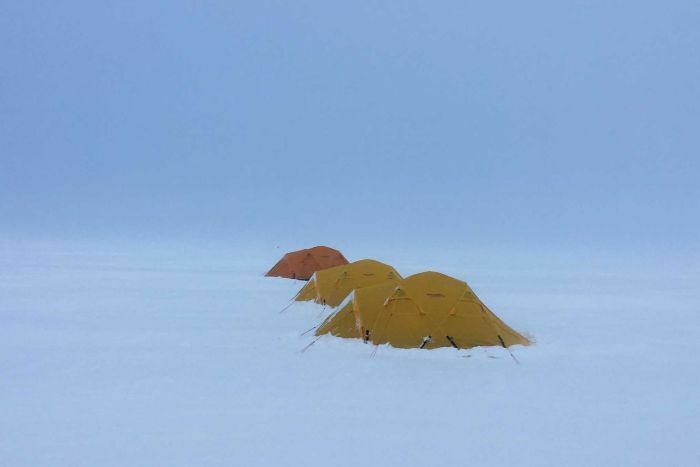 “The site was exactly what we had hoped for, because it had a high snow accumulation rate, but that also made the conditions extremely difficult with almost continual blizzard conditions for the entire expedition,” Dr Vance said. “The team had to dig their way into their tents at the beginning of the night, and then dig their way out in the morning, because there was such a huge amount of snow blowing into the camp. The purpose of the voyage was to develop a snapshot of the climate in East Antarctica and the Southern Ocean, and how it has changed over hundreds of years. “This ice core will hopefully give us a little bit more information about the hydra-climate cycle in Australia, how rain falls over time and how it changes, so we’re looking at the variability of drought and floods as well,” Dr Vance said. One of the things researchers will look for in the ice is sea salt and other clues. “The faster the wind blows, the more salt you pick up into the atmosphere, so we use sea salts to look at anything from wind circulation in the Southern Ocean to drought in Australia,” Dr Vance said. “By tracking these changes over centuries and comparing with other ice cores, we can build a detailed picture of how Antarctic and regional climate fluctuates naturally, and expect to derive indicators for Australian rainfall variability. To achieve a high-resolution climate record, seven scientists had to reach hundreds of metres into the ice with a high-powered drill. 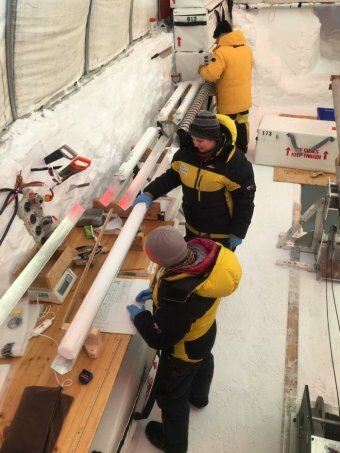 “An ice core drill needs to be a self-sufficient machine, it runs off generated power in a camp and it is basically a drill system that’s lowered on a cable down a hole using a winch, and it drills a metre, to a metre-and-a-half of ice at a time,” Dr Vance said. The ice has been sent to Hobart for analysis at the Antarctic Climate and Ecosystems Cooperative Research Centre. Glaciologist Dr Mark Curran said it would be carefully cut into much smaller pieces using saws and steel blades, so that different tests can be carried out on the samples. “This can take six to 12 months to do this cutting, it’s very precise cutting techniques that we use here, and then the analysis will follow on from that,” Dr Curran said. Some samples will then be analysed overseas, in a process which is expected to take several years.